1.Good blood flow: With minimal discomfort for the patient with the tri-bevel ground cannula. 2.Versatile: As it can be used with most commonly used lancing devices. Forbidden to use if seal has been broken. 1. Wash hands with soap and warm water.,and dry thoroughly. 2. Select fingertip site, slightly off-center. 3. Remove protective lancet cover. Discard if already being open. 6. 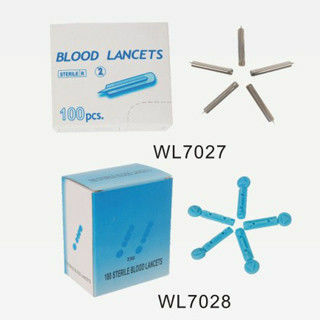 Re-cap lancet, discard in possible sharp container. smooth tri-bevel points reduces trauma when skin is punctured.